Flasher have shared the third video from their new album Constant Image, which was recently our Album of the Week. 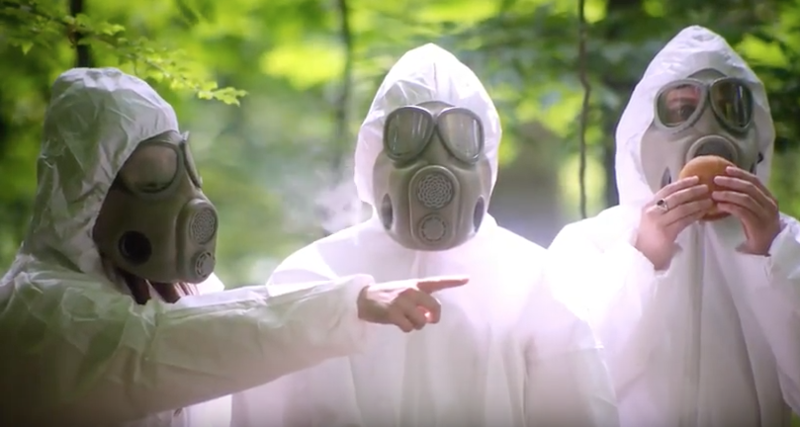 The new clip for “Who’s Got the Time?” is directed by Adinah Dancyger and finds the Washington, D.C. post-punk trio frolicking in the woods in hazmat suits. It’s a peculiar clip for a fun song, and you can watch it below. Also see the band’s upcoming tour dates below. Read our review of Flasher’s Constant Image. Flasher’s Constant Image is on our list of the 31 Best Albums of 2018 So Far.